Should I lodge a General Protections or Unfair Dismissal? Many unrepresented employees contact the Fair Work Commission assuming that it will give them free legal advice. It does not. It does provide sound information usually about an Unfair Dismissal claim and how to make an Unfair Dismissal claim. Following this, many dismissed workers make Unfair Dismissal claims but instead, should have made a wrongful or an unlawful dismissal claim. Regrettably, when they later take legal advice they discover their mistake but it is far too late to change course. So, what are the consequences of being on the wrong pathway? A recent example of an employee who filed for a case of Unfair Dismissal which failed but might have succeeded for wrongful or unlawful dismissal was the case of Luke Urso v QF Cabin Crew Australia Pty Limited T/A QCCA heard before Ms Lyndall Dean – FWC Deputy President. Mr Urso, a Qantas flight attendant, was dismissed as a result of his failure to attend work due to illness. During a layover in New York, Mr Urso and his colleagues visited a bar where he drank alcohol and became so ill that he was required to go to hospital. After being discharged, Mr Urso informed Qantas that he was too unwell to attend his shift and was subsequently dismissed. It is clear that Mr Urso’s assertions demonstrate that the dismissal was a direct response to a proposal to exercise a protected workplace right. By notifying his manager of his illness, Mr Urso exercised his right take temporary absence from work due to illness or injury – a protected attribute under the General Protection provisions. Had Mr Urso brought a General Protections claim, he would have had a much greater chance of success. Unfortunately, Mr Urso’s situation is rather common in the area of employment law. So, what cause of action should I pursue? There is considerable overlap between an Unfair Dismissal and a General Protections claim which adds to the difficulty of choosing which action to pursue. While the contextual factors may give rise to both actions, the causes of actions themselves are profoundly different. 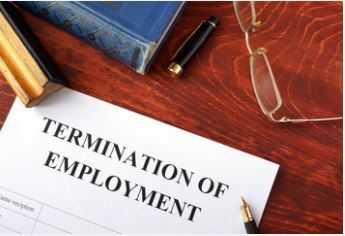 Firstly, a dismissal may be deemed ‘unfair’ if an employee was dismissed in a ‘harsh, unjust, or unreasonable’ manner. An example of this would an employer not affording procedural fairness in the process of their dismissal. Alternatively, a General Protection is contravened if the employer takes adverse action against an employee on unlawful grounds, including whether he or she exercises, or proposes to exercise, a workplace right. It is therefore important, if not, crucial to keep general protections in mind and understand the obligations of an employer to comply with them or otherwise possible penalties in legal action. Unlike unfair dismissal claims, there is no statutory limit that exists for the amount of compensation that may be awarded if an employer is found to have breached the general protections provisions. Nevertheless, you should obtain legal advice to decide which claim better suits your particular circumstances. The Fair Work Act insists that one course of action must be chosen and that this choice is final. I set up a company, and now it has become deregistered. What should I do? What notice does my employer have to provide me with when I am dismissed?